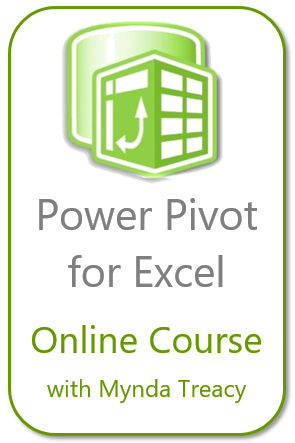 ← Combine contents in a range of cells into a single cell, with no VBA nor formula. 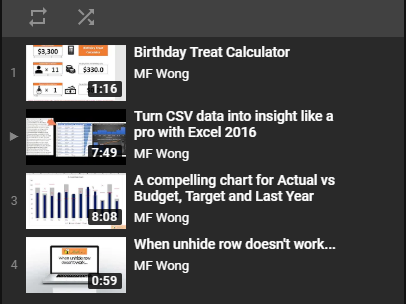 Fill Justify (on the editing group of the Home Tab) is another mysterious tool in Excel that, when discovered, will make you not only fall in love with it; and also feel justified of your investment in Excel. 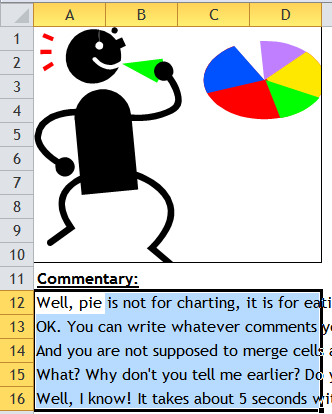 A12 – Well, pie is not for charting, it is for eating. Let’s eat one slice of the pie. 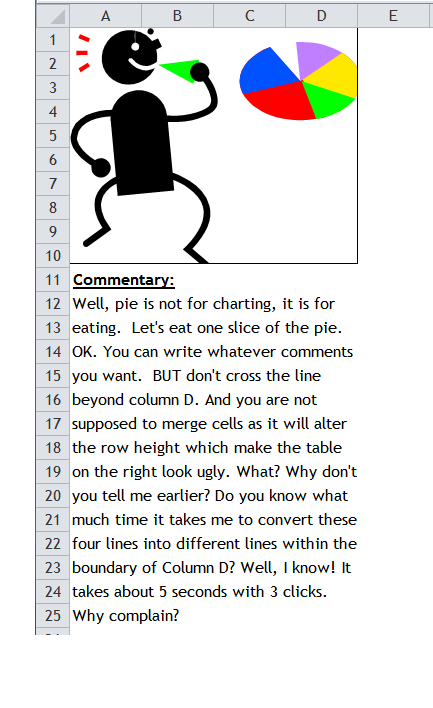 A13 – OK. You can write whatever comments you want. BUT don’t cross the line beyond column D.
A14 – And you are not supposed to merge cells as it will alter the row height which make the table on the right look ugly. A15 – What? Why don’t you tell me earlier? Do you know how much time it takes me to convert these four lines into different lines within the boundary of Column D? A16 – Well, I know! It takes about 5 seconds with 3 clicks. Why complain? Am I serious? Of course. Let’s experiment it on your own! 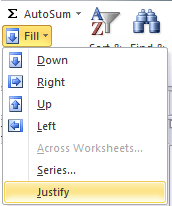 The result is not “Justify” as you expect to see in WORD or the “Justify” in horizontal alignment. Put it in other words, “Fill Justify” will fill all the contents on the left of the selected range (in our example A12:A16) to fit into the width of the range selected (in our example column A:D). However it does not give you a result that is horizontally justified in a cell. Note: It will replace content in the cells required for the expansion. Please make sure you have nothing in the destination area. This entry was posted in Excel Tips and tagged Fill, Justify. Bookmark the permalink.